Functionality Versus Aesthetics – a Clash of Perspectives? A frustrating game of give-and-take. That is what the common architect’s mindset must be when it comes to door hardware, writes Simon Osborne, Commercial Leader of Allegion UK. Part Of course, there are many considerations when choosing door hardware. On choice, the globalisation of the industry means there are now vast ranges available on the market. On compliance, increasing media scrutiny means we must get it right or face potential backlash, while legislations that health and safety institutions and government bodies impose are constantly changing. This all makes today’s door hardware world a complex one that architects must contend with. 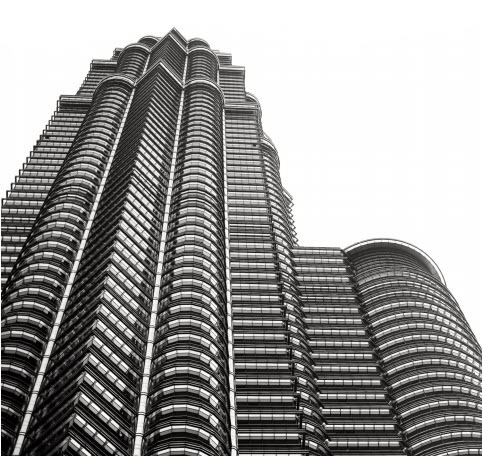 Balancing aesthetics, security and safety needs, standards requirements and product integration is not an easy job and one that is seldom achieved, particularly on large commercial projects. 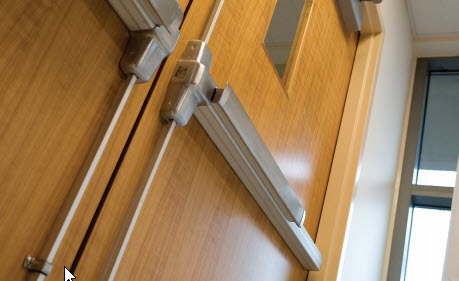 Let’s face it – finding door hardware that looks good and functions like it’s supposed to and adheres to the necessary building codes and integrates with other products all within the budget constraints, you would think, is probably a nigh on impossible task. best if it were invisible. A recent interview from our US headquarters with Marceli Botticelli, an architect with Payette, demonstrates this point perfectly. Botticelli shared some common thoughts across the architect’s world, saying that ‘architects like thin profiles and abstract designs, so door hardware by nature can be in conflict with that’ and that while they know door hardware ‘serves a purpose’, they really just want it to ‘disappear from an opening as much as possible’. Whilst some door hardware components have gotten much better at concealing themselves, such as door closers, other components are naturally much harder to hide and in some cases must be visible to be able to fulfill their purpose, such as panic exit devices. A point of contention for the architect and one of the first compromises. As some manufacturers have tried making panic hardware with a more minimalist look, the trade off made is that they become less durable and functionality worsens – highlighting the difficult balancing act manufacturers and architects face in achieving each other’s dreams. The next compromise an architect is commonly faced with is when they must take into account the level of security an opening needs. 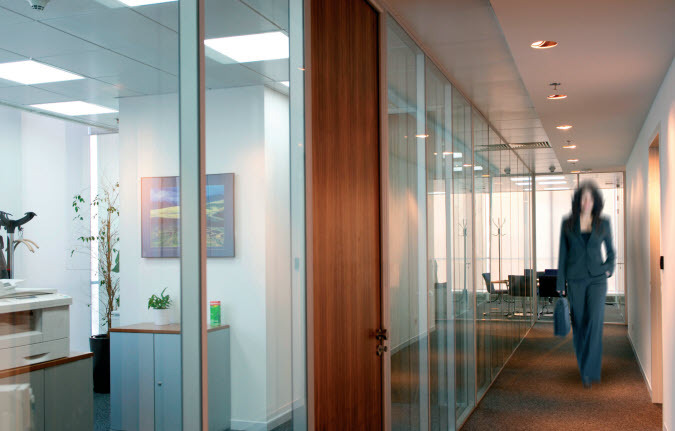 How you secure a main perimeter door varies greatly from an interior one, and then the type of interior space – storage, classroom or highly sensitive areas such as labs or data centres – also dictates the hardware used. Meeting standards also needs to be factored in. Is the opening fire-rated? Does it meet the accessibility requirements? All of these considerations directly influence the type of hardware that can be used on a door. 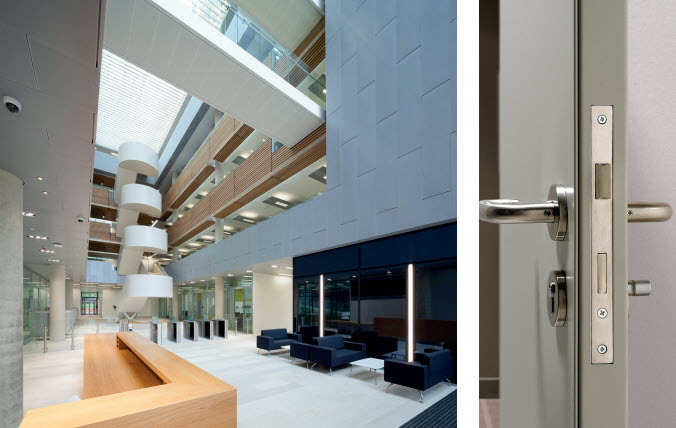 It is at this point where it can potentially get even stickier between manufacturer and architect, as while aesthetics are important, the ultimate priority of security and safety door hardware is to prioritise the health of building occupants and to satisfy the security aspects that the opening in question needs. As a result, architects have often had to compromise the flow of their desired buildings and you can eventually end up with hundreds of different doors and components that don’t match with each other. The general effect becomes one that is clunky and clumsy, with integration not possible due to the mix of hardware unable to communicate with each other. This then causes a nightmare for facilities managers and the ongoing maintenance schedules and for any retrofitting that may be required in future. As more and more architects battle against their will to door hardware, it is here where manufacturers should be more collaborative and understanding in the approach right from the outset. The key to navigating this balancing act is by having a knowledgeable manufacturer on your side to understand what your visions are, what rooms are needed and how you intend for your building and openings to look. This way, recommendations and full scale building solutions can be produced, as opposed to haphazard suggestions midway through a project. It is always ideal if an architect brings in the spec writer early in the process, such as when schematics are being done. This is when security and door design decisions are being made. While products may not be specified at this point, manufacturers can still provide guidance on whether or not something can be realised, or what options are available to accomplish an objective. There are a series of selections an architect makes before door hardware which then directly affects the hardware that can be used. These selections include door material, profile, thickness style dimensions and frame material. Such decisions can have a domino effect, so the sooner the manufacturer can get involved, the more likely it is that an architect’s exact vision can be achieved. Good collaboration involves lots of open dialogue, questioning and even drawing. Asking the architect to sketch their visions for an opening is when we as manufacturers can see what is wanted and thus recommend the products that will accomplish that goal.